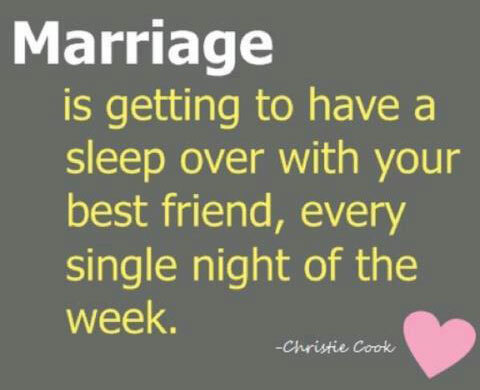 Marriage offers the closest possible relationship of intimacy and companionship we can enjoy. I’ve been married for more than 28 years and for most of those years, I’ve done a lot of marriage counseling. Marriage can be a relationship of mutual encouragement, acceptance and partnership, but sadly good marriages are increasingly rare. Fewer people are willing to apply the intentional commitment and hard work essential for good relationships. This is one reason why many marriages don’t go the distance. A growing number of people whom I care deeply about are in failing marriages. Most of them never imagined being where they are today. They went into marriage strongly opposed to divorce and determined to make it work. Facing the prospect of an impending divorce has been devastating to them. They know that they have not been perfect mates, but sincerely desire to work on their marriages. Yet they face unwilling partners who are too selfish to care. They feel they’ve tried everything to save their marriages but fear there is no hope. Life has become much harder for these people. Beyond their personal pain, their hearts ache for their children. My heart aches for all of them. Divorce is painful and complicated. Those who go through it endure emotional, physical and social exhaustion. I have observed this many times in my counseling experience. Even when divorce is an escape from a deeply troubled relationship, it’s difficult and painful. The discouragements, distractions and disorienting complications brought on by divorce can make life feel unbearable. And, to various degrees, the effects of divorce are life-long. There are many different reasons why marriages turn out to be good but failed marriages share common characteristics. Poor communication and conflict resolution skills are always part of relationships in decline. Neglect of intimacy, loss of good will and frequent escalating arguments are common to marital demise. First-time married people face disturbing statistical probability of being divorced. Some say 50 percent end in divorce; others think 40 percent is more accurate. Either number is too high. And statistics increase for second, third and fourth marriages. Evidently, we don’t learn from our mistakes as well as we think we do. Sixty-eight percent of those who remarry within two years of their divorce experience another divorce. This is partly why I am in my 18th year teaching a class for singles on how to choose a mate. I am confident that preventive measures can be taken to decrease the threat of divorce. Studies reveal that the likelihood of divorce decreases for those from intact families-especially religious ones. Higher levels of education, stable income, premarital counseling and marrying after age 25 also make measurable differences for preventing divorce. The decision to marry is one of the most important ones we make. My class is designed to help young people make the best decision possible. This requires knowing what to look for and what to avoid; asking the right questions and exploring the right issues. In other important decisions, we study options, seek counsel from others and proceed with caution. We use our heads and let our heads guide our hearts. Why don’t people approach marriage with the same thought and caution? Perhaps when it comes to love, we trust our hearts too much. Widespread divorce indicates, among other things, that we must become better decision-makers about marriage. This often requires changes in the way we think about marriage itself. Idealized images of marriage or of the person we plan to marry quickly shatter in married life. Many people want too much from marriage. They have unrealistic ideas of marital bliss. They are in love with the idea of being in love but they soon learn that loving another person takes effort. Those who want a good marriage without the effort required, set themselves up for the cycle of fantasy, disillusionment and divorce. Founder and chairman of Focus on the Family, James C. Dobson, suggested that “the secret to lifelong love and companionship is an iron-willed determination to make it work.” Those who understand this usually experience better marriages based on more realistic expectations. God designed marriage for our good as an exclusive, permanent, one-fleshed relationship based on a covenant of commitment between one man and one woman. Although not his original plan, God made allowances for divorce and remarriage in some cases (see: Matthew 19:9). Yet whenever we violate God’s plan, painful consequences follow. Thankfully God is willing to meet us in the messes we make of our lives and help us through them. He also uses wise counselors to help us if we are willing to receive them. Are You Unplugged? Stay connected. The Bible kind of Love! He Wants You To Get Pregnant? I just called to say "I Love You"
Is Social Media Causing Your Marriage Problems? How To Solve Family Problems The Bible Way! Where are you going this Christmas? The Secret to Cooking LOVELY Food this Christmas. Does he know God? Do you know him? How do we Honour our Parents?